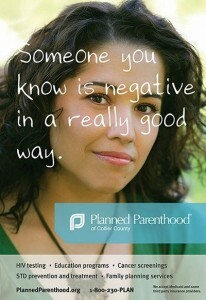 We recently had the pleasure of working with Planned Parenthood of Collier County. They were in of a reliable graphic design company in Naples, Florida and after meeting with them, they were excited to work with us, and the feeling was mutual. They provide a lot of very important care for people in this area. Their parent organization provides them with a lot of support for their marketing needs, but doesn’t go the full distance. So, we designed several large wall posters for them to place in the waiting rooms, and around various other areas of their facility. Each poster is 22 x 32 and will be printed on foam board. We enjoyed working with Sara and the team at Planned Parenthood of Collier County and look forward to helping them out in the future. Several of the posters can be seen at the Planned Parenthood center in Naples, Florida, and one example is seen on your left. I am so excited to have these posters come to life in our health center. Your professionalism and patience is greatly appreciated.